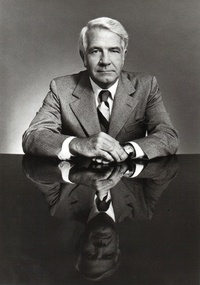 Harry Truman Reasoner (April 17, 1923 " August 6, 1991) was an American journalist for ABC and CBS News, known for his inventive use of language as a television commentator, and as a founder of the 60 Minutes program. This webpage uses material from the Wikipedia article "Harry_Reasoner" and is licensed under the GNU Free Documentation License. Reality TV World is not responsible for any errors or omissions the Wikipedia article may contain.